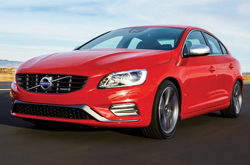 We've taken a look at what's new in the 2015 Volvo S60 in Dallas and we're seeing some exciting new powertrain choices to woo premium midsize sedan shoppers. For starters, the new 240-horsepower turbocharged 4-cylinder engine is paired with a fuel-saving 8-speed auto-stop/start transmission, which offers ample measures of both power and fuel economy. If that doesn't whet your whistle, Volvo ups the ante with a 302-horsepower alternative. Each of the new engines offer significant increases in fuel efficiency and performance, making either one an excellent option for most Dallas drivers. Both these new engines are available in front-wheel drive models only, but if all-wheel drive is your preference, you'll find the power-to-economy ratio extremely satisfying in the S60 AWD models as well. Read on as we continue this 2015 Volvo S60 review for Dallas car shoppers and highlight some pretty terrific features and specs. If you've car-shopped with safety in mind before, you're probably familiar with Volvo's excellent reputation for building safe automobiles. The 2015 S60 earns the rep, commanding 5-star NHTSA safety ratings across all categories. An available technology package includes state-of-the-art advanced proactive safety measures such as lane departure warning, adaptive cruise control, forward collision warning and auto-dimming headlights. Beyond safety lurks elegant style and premium comfort that may surprise you if you haven't been keeping tabs on recent Volvo design updates. Test drivers were wowed by the extremely comfortable front seats with bolstered upholstery offering firm, yet gentle cushioning for a relaxed all-day driving experience. Interior ambiance is enhanced by modern streamlined styling and upscale materials. The base trim offers a nice set of standard inclusions like power-adjusting front seats, a 7-inch color control interface for an 8-speaker sound system, USB and Bluetooth connectivity, rain-sensing wipers and headlight washers. You'll also find copious upscale options in the new Vovlo S60. Dallas "freezie-cats" can have pretty much everything heated - from the steering wheel and windshield to both front and rear seats. Available features vary by trim level and include rearview camera, park assist, dual xenon headlamps, power moonroof and voice-controlled navigation. Continue with our Volvo S60 review below where you'll find an independent car comparison tool, an S60 walk-around video tour and additional S60 specifications. 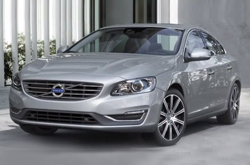 You may wish to browse varying featured Volvo S60s for sale in Dallas linked below or perhaps schedule a test drive at Volvo of Dallas to experience the ultra-quiet ride of a 2015 S60 for yourself. In several areas, the 2015 Mercedes-Benz C-Class, Lincoln MKS, Acura TL and the Audi A4 are outmatched by the 2015 Volvo S60. You'll appreciate the S60's long list of outstanding qualities, including its inexpensive sticker price and state-of-the-art cabin amenities. Hundreds of Dallas Volvo drivers choose it because it's a phenomenal value; just compare its price to the vehicles in its class. Take a peek at the S60 bullet list under this paragraph for more quick facts. If you're having a difficult time deciding which Volvo is right for you, please read the S60 review above, along with reviews of other current 2015 models sold at Volvo of Dallas. Good reviews are hard to find ; but as the respected Volvo dealership in Dallas we've put it all in one location for you. You can be sure of the information in this article to be reliable and provide you with the details you need to [decide] if you want to finance the S60. 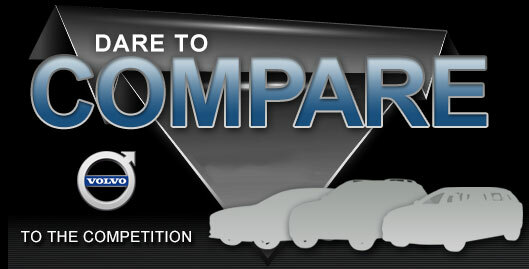 Find out all about our entire lineup of amazing automobiles! 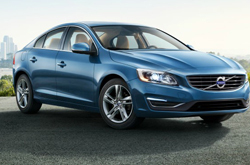 If the S60 isn't the right option for you, we've got many other Volvo reviews and car comparisons. Visit our research library to view them now!